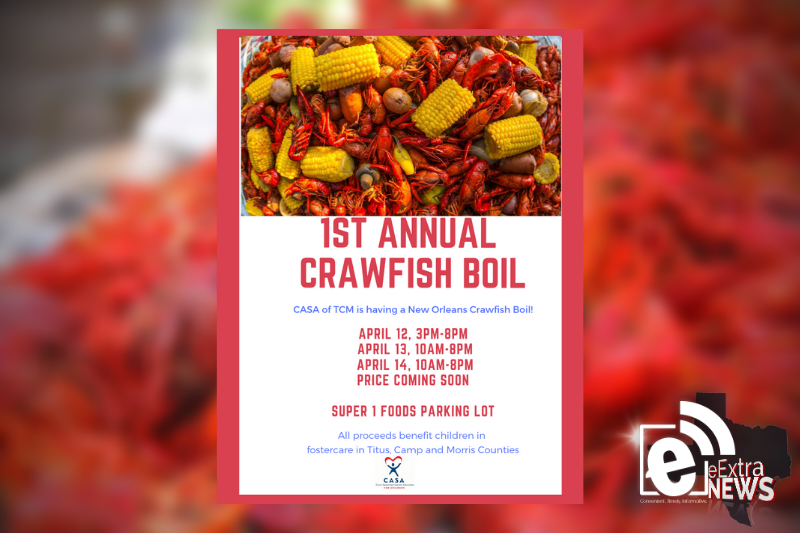 Court Appointed Special Advocates has announced its inaugural New Orleans Crawfish Boil April 12-14 at Super 1 Foods parking lot, 602 S Jefferson Ave.
On April 12, the boil will be from 3-8 p.m.; April 13 and 14, 10 a.m.-8 p.m.
All proceeds from the boil benefit children in foster care in Titus, Camp and Morris counties. Price is to be determined closer toward the event. For more information, contact CASA of TCM at 903-717-8940.